Majula is a tiny settlement on the Northern coast of Drangleic, nestled atop the rugged cliffs between the Forest of Fallen Giants and Heide's Tower of Flame. This barren crossroads is the first stop of all Undead passing through the rift from outside. Majula has weathered centuries of intermittent warfare and seen the rise and fall of many kingdoms before Drangleic. Although the windswept landscape is desolate, Majula's location at the junction of several roads leading throughout the kingdom has resulted in a number of destitute Undead making improvised homes in its sheltered alcoves. While in recent years Majula has come to be known as a safe haven for travelers seeking rest and refuge on their journeys, dark secrets lie shrouded in its forgotten history. The pit in the village center, foreboding and seemingly bottomless, was once a place of disposal for the unwanted and unspeakable mistakes of kingdoms past. Enslaved Pig: These tiny piglets have a dark secret. They have a small chance to drop Cracked Red Eye Orbs. If you seek to murder other players and collect Tokens of Spite, these will be useful to you. One can only wonder how these piglets took possession of such dangerous items. Skeleton: This curved sword-wielding Skeleton is hiding in Cale's house in Majula. It's unknown whose Skeleton this might be or what force animates it; perhaps Cale inadvertently disturbed this poor soul's resting place. Either way, it must be dispatched before Cale will return to the residence… and if you want the treasures it guards. "You're Undead…aren't you. You have that distinct scent. The smell of irreversible fate. This is Majula. It is a kind of settlement… A place where life is almost normal. 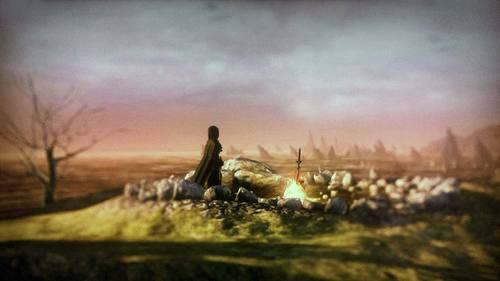 And in Drangleic these days, there are very few places like that." "We call this place Majula. Not too special, if you ask me. It's just the place… where everyone seems to end up." Key to the abandoned house in Majula. Received from Cale the Cartographer. In the past, Majula served as a dumping ground for horrible things, but is now a gathering place for those with no better place to go. It seems this house in Majula was the final home for a few such souls. Key of Blacksmith Lenigrast of Majula. 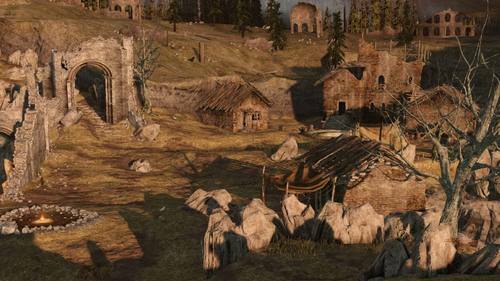 Majula, the land of exiles, is comprised of abandoned old houses, one of which Lenigrast has fashioned into a workshop. A stone which rotates the Majula Rotunda. Insert into the central pillar to align the rotunda with a different passageway. Nothing magical about it, but a fine feat of engineering.